Want a job with those fries? Apply for one of 1,500 positions in the Chicago area and 50,000 positions across the country during Oak Brook-based McDonald Corp.'s first nationwide hiring day on Tuesday. Apply at local franchises from 7 a.m.-5 p.m. or go online to fill out an application. The openings are for full- and part-time restaurant crew and management positions, which translate to about three or four new hires per restaurant and an extra $518 million in wages. Here's what's available in Illinois. The wage for hourly employees averages at $8.30, about a dollar above minimum wage. Earlier this month, Working Mother Magazine named McDonald's among its 2011 Best Companies for Hourly Workers thanks to the chain's benefits and wages. Oak Brook-based restaurant chain set a goal of hiring 50,000 new employees. 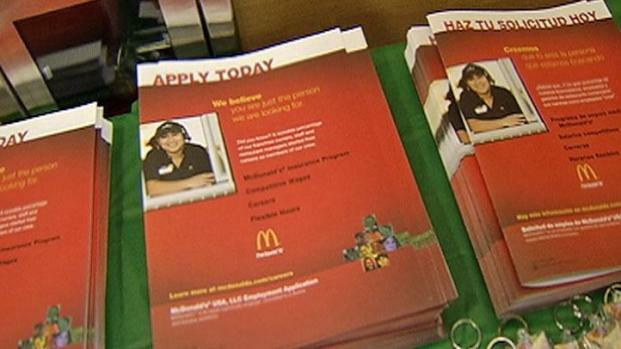 Though the national hiring day was criticized by some as a stunt to make hires McDonald's would have made anyway, the company says the 50,000 jobs represents an upswing in employment opportunities after turnover slowed in recent years. When McDonald's hosted a smaller hiring day last year, more than 60,000 people applied for 13,000 positions in the western region, the company said. The April 19 round of hiring is timed just before the busy summer season. McDonald's boasts about 1.7 million employees worldwide. This hiring spree would increase its U.S. workforce by 7 percent to 700,000. 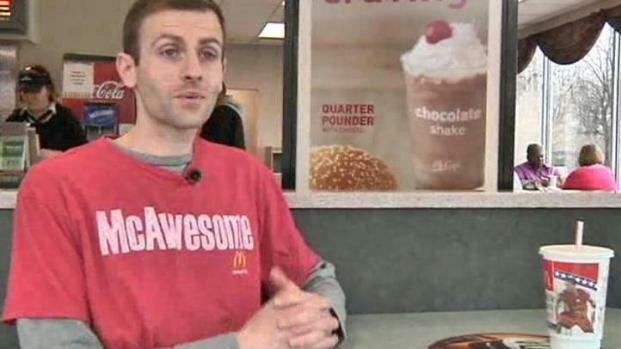 Joe D'Amico trained for the Los Angeles Marathon eating only McDonald's for breakfast, lunch and dinner and scored his "personal best" in the race. Job offers may take a couple weeks after application because of mandatory background checks, McDonald's administrators say.